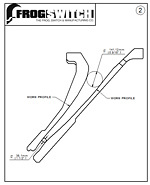 Using this information along with material feed size and product requirements, different liners profiles can be offered using the large selection of designs that are available. 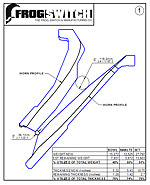 Liner wear simulation can also be used to assure the proper design of bowl liners and mantles during operation. The proper liner design can increase crusher thru-put and reduce liner throwaway weight, resulting in...Lower Crushing Cost Per Ton.